Today is my Pa's birthday. Happy Birthday to the best Dad ever! I love you and wish I was there to celebrate with you! Happy Birthday (about 20 minutes late) to Debi's Pa. That is a fantastic photo. Is your hair red? What a cutie! What a great photo! Happy birthday Debi's Pa! Oh, wow! Did you grow up on a farm? That is such a classic, American shot. Happy birthday to your dad! 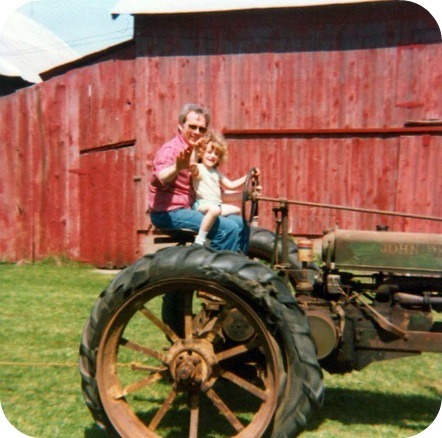 Nope but my uncle had a farm...it was always fun visiting!